“I don’t want to live hidden away,” he told AFP during a visit to Paris. The novelist’s life changed forever on 14 February, 1989, when Iran’s spiritual leader ordered Rushdie’s execution after branding his novel “The Satanic Verses” blasphemous. “We live in a world where the subject changes very fast. And this is a very old subject. There are now many other things to be frightened about – and other people to kill,” he added ruefully. Rushdie stopped using an assumed name in the months after 11 September, 2001, three years after Tehran had said the threat against him was “over”. 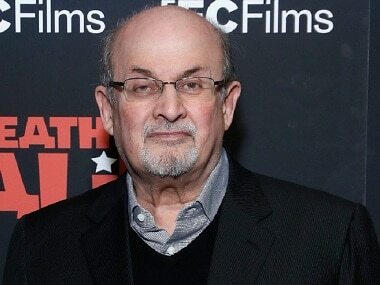 “The Satanic Verses” was Rushdie’s fifth book, he has now written his 18th. Titled “The Golden House” it is about a man from Mumbai, who much like the author, reinvents himself in the Big Apple in a bid to shake off his past.